There is a new wonder in this world and it all comes from the bluebird, a delicious concoction of flavors. A sinful experience without the guilt, rich with decadence and prone to create a bout of envy among your vaping friends. Rich cheesecake plied with berry that just chases your memories forever. 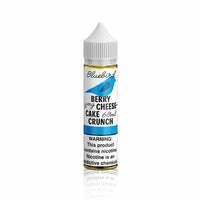 Bluebird E-Liquid has a rating of 4.9 stars based on 26 reviews.